(Medford, OR) – Focus 1 Associates (“Focus 1”) announced today the recent addition of Jessica L. Parker, CPA, CIPM, Senior Compliance Manager. 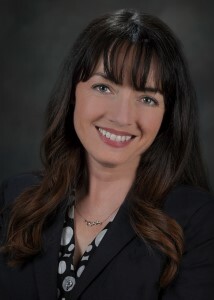 “As the former head of SOC 1, ISAE 3402 and Internal Control Programs for a globally recognized specialist CPA firm, Jessica brings a new perspective and a wealth of experience to Focus 1’s compliance consulting practice,” said Tobin S. Cochran, IACCP, Focus 1’s Managing Member and President. Prior to joining Focus 1, Jessica also had executive responsibility for over a hundred GIPS® Verification clients and served as a member of the firm’s quality control and training committees, along with the firm’s steering committee. Her contribution was instrumental in the firm’s strategy for growth, education, and compliance with regulation. Headquartered in Medford, OR, with offices in Newport Beach, CA and the greater Los Angeles, CA, Tampa Bay, FL and Boston, MA areas, Focus 1 specializes in assisting SEC registered investment advisers—institutional, wealth advisers, family offices, and advisers to private funds—with their compliance needs under Rule 206(4)-7 of the Investment Advisers Act of 1940.